Photo by Charlton-Robb K, Gershwin LA, Thompson R, Austin J, Owen K, McKechnie S. This file is licensed under the Creative Commons Attribution 2.5 Generic license. In 2011, news related to the animal kingdom caught the attention in the world. The media unveiled the discovery of a new species of Australian dolphin, which the scientists named Burrunan dolphin. It is the third species of dolphin discovered since the 19th century, and it does not live in a remote or isolated place. No, it inhabits only a few kilometers away from human civilization. Researchers at the University of Monash, Victoria, Australia, sponsors of this study, were astonished to learn about the existence of a dolphin that was always confused with other species endemic to the southern coast. But after performing a series of genetic, morphological and osteological tests, the researchers were ready to announce to the world their finding. It has a thick snout and a short rounded head. Its caudal fin is large as well as its dorsal fin, but this has a sickle shape. 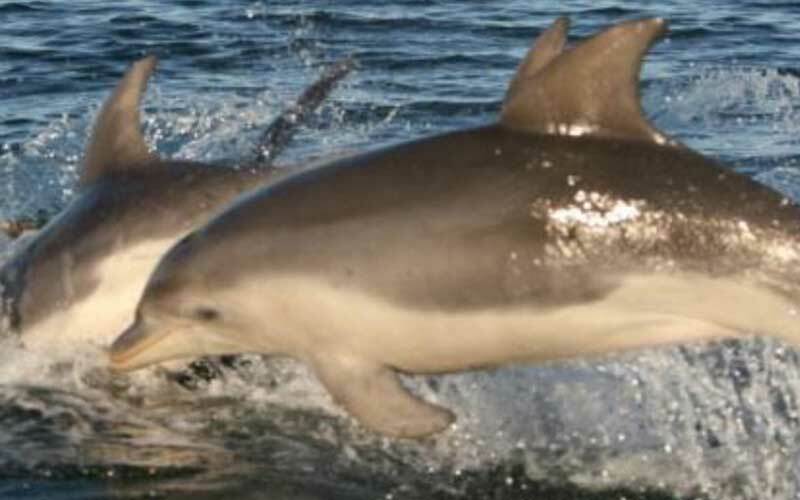 The Burrunan dolphin has a size similar to the common bottlenose dolphin (Tursiops truncatus), but it is slightly smaller. It measures between 2.27 and 2.78 meters in length with a skull of 47.0-51.3 centimeters. The dorsal area and sides of the head and body have a dark gray color interrupted by the presence of a light gray color that extends from the shoulders towards the sides. The third color in their skin starts from the eyes and lower jaw covering the entire lower ventral area with white. This species is endemic to Australia and at to the time of the study they identified about 150 individuals in the south and southeast of this country. It is distributed in the waters of the state of Victoria, in the Gulf of Spencer, in the west of the Island of San Francis and the east of Tasmania; There are two populations in Port Phillip Bay and Gippsland Lakes. It inhabits coastal waters near the ports, in semi-closed water systems and even in the estuaries. Studies on the species are still under development, so data related to their behavior, feeding, and breeding habits are still unknown. We know little about its life, and it is already in danger. The small geographical region in which this dolphin lives and its proximity to human civilization and the consequences of its activities threaten the reduced number of extant Burrunan dolphins. Although it does not appear on the Red List of the International Union for Conservation of Nature and there are no specific conservation strategies, it is important to begin implementing efforts to facilitate the protection and survival of the species. Stephen Jackson, Colin Groves. Taxonomy of Australian Mammals. Csiro Publishing, 2015.